Last week Belgrade became one of the focus for the world's leading media. The reason for this is the visit to the Serbian capital, Vladimir Putin. The pompousness of the Russian president took place and the atmosphere of Serbian-Russian friendship that prevailed on that day in Belgrade was to show everyone, and first and foremost to Washington and Brussels, "who is the host in Serbia." The preparation of the Serbian capital for the visit of the Russian president, as described by the media, was reminiscent of preparations for a meeting of "God" and "superstars." The incidents with which Vladimir Putin took unprecedented security measures, the large number of those who meet in Belgrade, the mood of Serbian-Russian friendship and fraternities, as well as a wide coverage of all this in the media, suggests that the visit of the Kremlin leader to the Kremlin was of great significance for him. First and foremost, the demonstrate to all, especially the US and NATO, that Russia is present in the Balkans and that the Serbian-Russian alliance is immutable. In addition, against the backdrop of falling to the historic level of confidence in Vladimir Putin in Russia, this one-day, without exaggeration, theatrical show in Belgrade should have been used by him to strengthen his own ratings and demonstrations, especially against the backdrop of previous image defeats during meetings with leaders. The Western world, its "importance" in the world and the preservation of Russia's status as an influential geopolitical player. In turn, for his Serbian counterpart, Alexander Vuchich, this visit was also very important. Against the backdrop of lasting anti-presidential protests over the past months, Putin's arrival was a peculiar rescue pole for him. In order for a respectable Russian visitor to feel how great the sympathies of the Serbian people are to him personally, as well as to Russia, the Serbian government has campaigned for the organization on the streets of Belgrade to condemn the crowd for his greetings. Responsible for "work" was a little-known NGO "Center for the Development of Belgrade", which, according to the media, received funding from the authorities. It was also reported that the pro-presidential Serbian progressive party promised citizens from the provinces expressing a desire to come to Belgrade to congratulate Putin, 13 euros per day, free meals and buses on both sides. The Belgrade action remained unchanged and mostly populated by ethnic Serbs in the northern part of Kosovo, in whose cities Russian flags and posters were hung on that day, depicting a "cordial friendship" between the Serbian and Russian presidents. Such actions by the Serbian authorities in the already pro-Russian country can be explained by its concern that, due to the anti-presidential protests preceding the visit, Vucic and Putin may not obtain the "television picture" they need for their ratings. Fears of Serbian authorities were not groundless, since a spoon of tar in a barrel of Serbian-Russian honey was still found. Thus, in several cities of the province of Voivodin, in the north of the country, the organization "Mlada Vojevodina", on which, presumably, there is anti-Russian opposition, an anti-Russian action was held, in which in these cities posters with the inscription "Putin, go home" . However, the main purpose of Putin's voyage to Belgrade was not the aforementioned holiday of Serbian-Russian friendship, but the coercion of Alexander Vuchich to reject the European perspective of Serbia and link its future exclusively with Russia and its Eurasian Economic Union (ENA) under its control. Despite the constant assurances that Serbia remains a reliable ally in the Balkans, the Serbian president, understanding its importance for it, as well as for the West, continues to play its game of balancing between them and trying to obtain maximum benefits from it. . As long as there is no agreement between Belgrade and Pristina that would open Serbia's door to the EU, the Teacher can count on support of Russia and Putin personally. On the other hand, maintaining a certain independence in relations with Moscow allows him to trade with Brussels and preserves, albeit theoretical, but the chances of Serbia's integration into the EU. In Moscow, it is well understood that such a flurry of the Serbian president with the West could eventually mean for her the loss of her last bastion in the Balkans. Therefore, they decided to act in the Kremlin and force the pupil to finally climb out of both chairs and sit down at the one closest to Moscow. And in order to make it easier for him to do this, Putin brought gifts for him in the form of a 21 bilateral agreement and the Order of O.Nevsky - a state award that, besides Russian citizens, is handed to foreigners for a special contribution to multilateral cooperation with her. The vinegar on the cake was a promise by the Russian side on Serbia's participation in the Turkish Stream and an investment of $ 1,4 billion in its gas transportation infrastructure. In response to such Russian generosity, Serbia has already managed to convey to Gazprom all the necessary permits for the construction and use of the Turkish flood area on its territory, thus having entered into a direct conflict with the Secretariat of the European Energy Community. Despite the above-mentioned Russian energy bait, they are still only words in Serbia for the time being and have every reason to remain so. The fact is that before entering Serbia, the pipe of the "Turkish Stream" will have to go through the territory of Bulgaria, and after leaving Serbia - through the territory of Hungary. Given that both countries are members of the EU, they must obtain permission from Brussels in order to cross the pipelines through their territories. 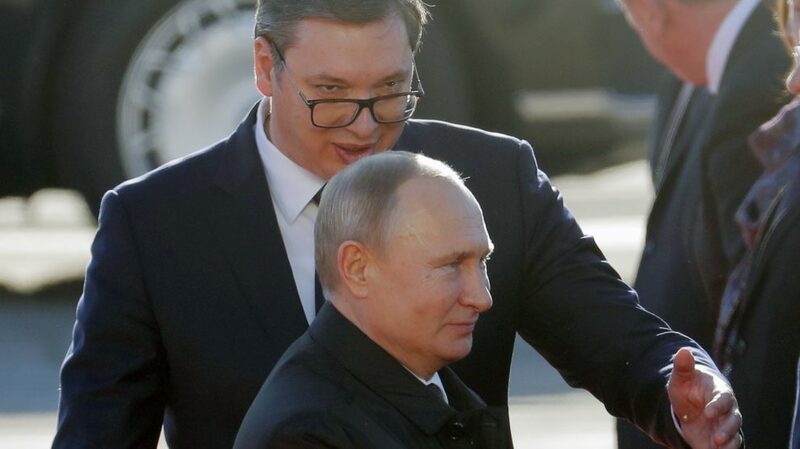 Understanding this, Putin, distributing gas promises to Belgrade, made it clear that the pipeline to Serbia would not be built until Moscow received a guarantee from the EU. In addition, a number of experts in the field of energy believe that Moscow will not deal with the continuation of the "Turkish Stream" to Serbia until it receives from Brussels the green light on the more important for her project "North Stream 2". As for the agreement on a free trade area between Serbia and the United Nation, Vladimir Putin expressed the hope that it will be signed this year. Such "hopes" of the Kremlin's leader may mean one thing: Belgrade will be in the "near fraternal embrace" of Moscow in the near future, which will have to convince the Serbian leadership of the no-alternative of the Eurasian future of the country. "Moscow supports a mutually acceptable solution agreed between Belgrade and Pristina, but if it is based on the resolutions of the UN Security Council, 1244. Russia shares the concerns of the Serbian leadership and citizens about the Kosovo issue, as the recent steps of Pristina can lead to destabilization in the Balkans, "said Vladimir Putin in the context of answering the question of supporting Russia in favor of Serbia in defending its interests in Kosovo. He added that he could not be a bigger Serbian than the Serbs themselves. In these words, the Russian president unequivocally hinted to his Serbian counterpart that, in order to become a "Serb" and to deal with Serbian interests, he must eventually become a truly reliable ally who could be trusted. So far, it's not necessary to talk about Putin's confidence in Vuchich. On the one hand, the Serbian president states that "without Russia there will be no solution to the Kosovo problem" that "Russia can always count on Serbia as an ally" and that "he will consult with President Putin before taking any decision on Kosovo." 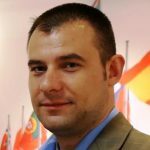 On the other hand, it is well known to Vladimir Putin that Aleksandar Vuchich regularly advises on the Kosovo issue with Angela Merkel and is very sensitive to any signals coming from Washington. In a situation where the prospect of the emergence in the Balkans of another NATO member becomes more real, Moscow can not afford to tolerate such a multi-vector of Belgrade. Therefore, she has no choice but to make proposals to the Serbian leadership that can not be abandoned. Filled, of course, with the sauce of "brotherhood" and "eternal friendship." With regard to the possible reaction from the West, it is important to remember that a visit to the Belgrade in October by 2017 of the US State Department representative, Hoyt Bryan Yee, during which he warned Serbia that "it is impossible to sit at the same time on two chairs" and that " if Serbia wants to become a member of the EU, it must send a clear signal, rather than continue balancing between the West and Russia. " Therefore, it is likely that after the completion of the Serbian-Russian show, a Washington bell will sound at the office of Alexander Vuchich. In view of the above, it is obvious that until recently, A.Vuchych's successful policy of balancing between the West and Russia is at the final stage. In the near future, he will be forced to make a choice on one side. In particular, it will depend on who will be more active in defending his own interests in the Balkans. So far, Moscow has taken the initiative. CACDS took part in the "14 Annual Conference on Information and Cybersecurity UISGCON14"
M. Samus: There is an urgent need to start a comprehensive discussion on the UN reform agenda.